Are you looking for a romantic destination for the upcoming Valentine’s Day? Here are three weekend romance packages to make your Valentine’s Day an unforgettable experience. First, tantalize your tastebuds in Oregon’s Wine Country, try cuddling in the mighty Rockies, or visiting galleries and enjoying a fine dining meal at award-winning restaurants amidst the charming backdrop of the Highlands. 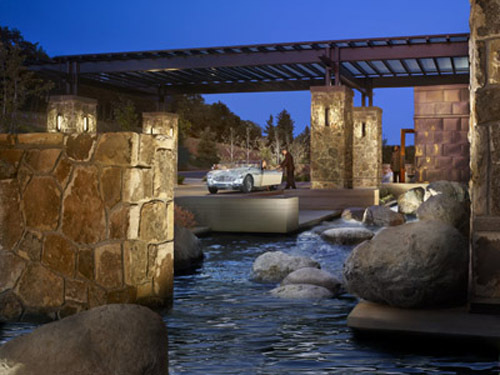 Pouring out onto 35 hillside acres in Oregon’s Wine Country, The Allison Inn & Spa, a Preferred Boutique is offering a “Blissful Romance” package. ***Love note: cozy up in the Living Room with live jazz on Friday and Saturday nights. Visit www.preferredboutique.com/theallison for more information. Package is available until April 2011, is based on a two-night minimum stay and subject to availability; rates do not include applicable taxes. Tucked away in the Rocky Mountains, The Broadmoor, a Preferred Hotel & Resort, is proposing a “Spa Couples Romantic Hideaway” package in honor of February 14. ***Love note: try the “Liquid Love” cocktail, created special for this one and only holiday. Visit www.preferredhotels.com/broadoomr for more information. Package is available until April 30, 2011 and subject to availability; rates do not include applicable fees and taxes. The Old Edwards Inn and Spa, a Preferred Boutique, is a European style retreat nestled in North Carolina’s scenic Blue Ridge Mountains. ***Love note: for a signature couples experience book the “Bliss for Two” treatment room. Visit www.preferredboutique.com/oldedwardsinn for more information. Package is based on a two-night minimum stay; rates do not include applicable taxes, gratuities or alcoholic beverages.